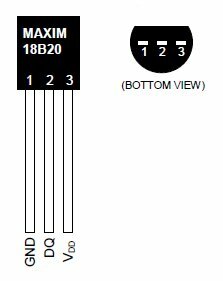 The one wire Digital Temperature Sensor - DS18B20 from Maxim (formerly Dallas) is a great chip for measuring temperature in your projects. 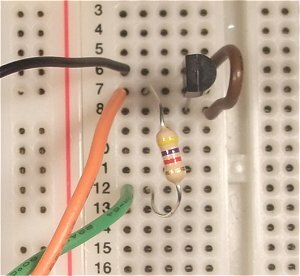 Luckily, there is a Dallas Temperature library for the arduino which makes using this sensor very easy. If you dont already have the OneWire library then you will need to copy that folder into the libraries folder also. Now, before we get to the programming part, lets wire up our temperature sensor. The DS18B20 can be powered by between 3.0V and 5.5V so you can simply connect its GND pin to 0V and the VDD pin to +5V from the Arduino. However, the DS18B20 can also extract its power from the data line which means we only effectively need two wires to connect it up. This makes it great for use as an external sensor. 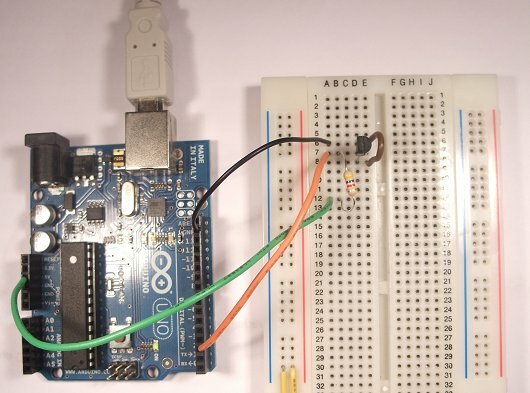 Next, load up the sketch below and upload it to your Arduino board. Using the Dallas Temperature Library makes getting the temperature easy.